There was a time in our little village of Rumford, back when we were a British province and ruled by a Royal governor, that the old-world customs and traditions were quite evident and certainly relevant. The harvest was a grand time when the school houses were closed so that the children could work in the fields and bring in the bounty before the onset of the first killing frost. The children were quite pleased to leave the one-room schoolhouses dotting our community and enjoy their freedom without the schoolmaster ruling them – certainly until they hauled the many heavy crates of apples and produce, at least. As the name of our town has changed with the centuries from Pennycook to Rumford and then Concord, too, we have enjoyed the delicious fresh apples produced by our local soil and climate. Many of the members of our community had an apple tree or two in the side yard while the farms had orchards and an abundance of this delicious fruit. The apples were harvested each fall and enjoyed in many forms, one of the favorites being cider. There were many popular beverages in the early colonial years in Concord, beverages such as flip, eggnog, rum, beer and more. Some referred to the adult beverages as simply medicinal and never to be consumed on the day of Sabbath, while others were quite open with their desire to enjoy the fruits of their fall harvest. 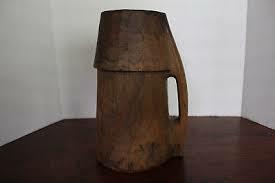 While the mugs used to drink in the very early years were limited due to cost and supply, a noggin was used because it was affordable and easy to produce yourself and would last for years. The homes would be equipped with noggins that were simply large wood cups carved from a piece of resilient oak, ash or maple with a handle on the side. 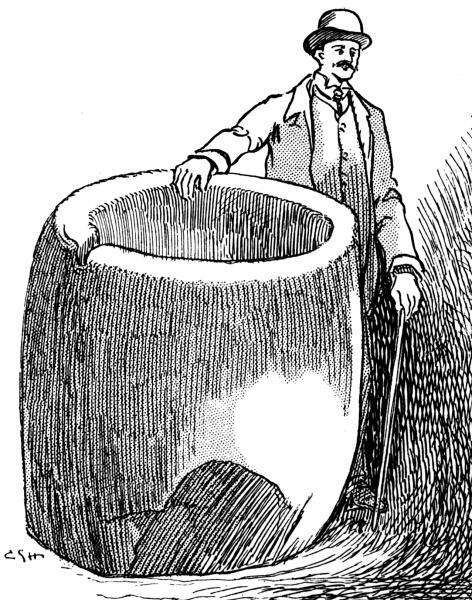 The noggin was in common use in the 1700s in our area and still found into the 1800s when the production of tin, pewter and earthenware mugs became common and affordable. Here in Concord in the 1700s, then known as Rumford, it was common for each neighborhood to have a gentleman traveling from house to house to enjoy a free sample of that farm’s cider production for the season. This gentleman was called a “Cider Topper,” and he would spend his post-harvest days guzzling down a quart noggin of cider without a breath and then hold out his noggin for yet another. This position was certainly not sanctioned or official, but certainly enjoyed by the neighborhood “Cider Toppers” here in town. The next time you visit your favorite establishment, take a few moments to toast the old “Cider Topper” and his quart noggin of cider. Cheers! History. I was never good at it, but I enjoy reading about it. This brought a smile to my face, as you brave the cold and I blow the mats away from my wine here on TX. Glad you enjoyed the article. We are fortunate to live in a city that is rich with history. I enjoyed writing this – sometimes people forget that our ancestors were just like us… they lived and they loved and they enjoyed a good story. My Best to you, Jim Spain.